The second teaser of Superstar Rajnikanth's much hyped movie 'Kabali' has been released yesterday around 8PM. This has given an exciting glimpse into the score of 'Neruppu Da'. 'Neruppu Da' is making waves not only in Tamil Nadu but also at the national level. The teaser is going viral on social networking sites and getting excellent reviews from audience and movie critics. Memes already started circulating and it starts trending in franction of seconds. Kabali has been eagerly awaited by fans as it shows Rajinikanth playing a don first time since Baasha. The film is slated for release in July. Official announcement is yet to be made regarding movie release date. This thirty five second clip shows Rajinikanth in a role that his fans loves to see him in films. 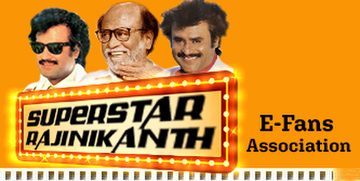 The entire teaser focuses on super star's mannerisms and thevideo is loaded with powerful action sequences. Apart from Rajinikanth, Dhansika, Radhika Apte, Attakathi Dinesh and Kalaiarasan are seen in the video.